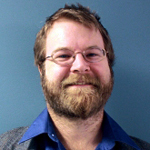 Jonathan M. Sears approaches International Development Studies and Comparative Politics of Sub-Saharan Africa from a multi-disciplinary background in political studies (Ph.D., Queen’s University), political theory (M.A., Brock University), and anthropology (B.A. Hons, Saint Thomas University). As the focus of recent writing, Dr. Sears seeks to place events in Mali and Sahelian Africa since 2011 in historical and cultural context, as part of his ongoing investigation of how citizen identity in African contexts is rooted in multiple cultures, and how these political cultures are affected by individuals’ and groups’ responses to economic and political liberalization, as well as to post-conflict peacebuilding at the interface of international and national actors and institutions. 2015, June: In Press (co-Authored with Bruno Charbonneau). "Defending Neoliberal Mali: French Military Intervention and the Management of Contested Political Narratives." In Where Has All the Peace Gone? The Politics of International Intervention. Eds, Florian Kuhn and Mandy Turner. New York: Routledge. "A New Theory of Post-Conflict Governance: Transforming the State at the Security -- Development Nexus of Intervention" (joint with Dr. Bruno Charbonneau). "Faith formation and democratic citizenship: Faith-based organizations (FBOs) and community leadership development in West Africa"